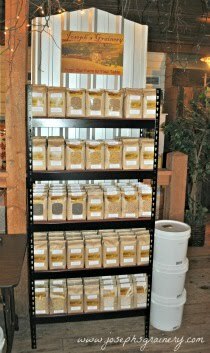 Hay Produce and Garden Center in Clarkston, Washington now has their very own Joseph's Grainery! Hays Produce and Garden Center knows a good thing when they see it, and they parked us right beside Bob. We love it when that happens. We certainly don't claim to be better than Bob, but our stuff always seem to sell very well when this happens. It must be because we're local. We love Hays and who doesn't love Bob?